Friendship is the meaning of the flowers of Wisteria shams. Signoria once again moves the beauty of nature onto luxury linens, creating a design characterized by freshness that is enhanced by the quality of the ground fabric. The traditional printing is made on cotton 300 t.c. sateen woven with sublime Egyptian combed cotton and finished with the most renown Italian techniques making the hand extremely soft and bright. Offered with two different background colors that can be coordinated with any décor. Available in Standard, Euro and King sizes, the Wisteria Shams have four flanges of 2 inches neatly finished with a simple hem. Made in Italy. Friendship is the meaning of the flowers of the Wisteria duvet cover. Signoria once again moves the beauty of nature onto luxury linens, creating a design characterized by freshness that is enhanced by the quality of the background fabric. The traditional printing is made on cotton 300 t.c. sateen woven with sublime Egyptian combed cotton and finished with the most renown Italian techniques making the hand extremely soft and bright. 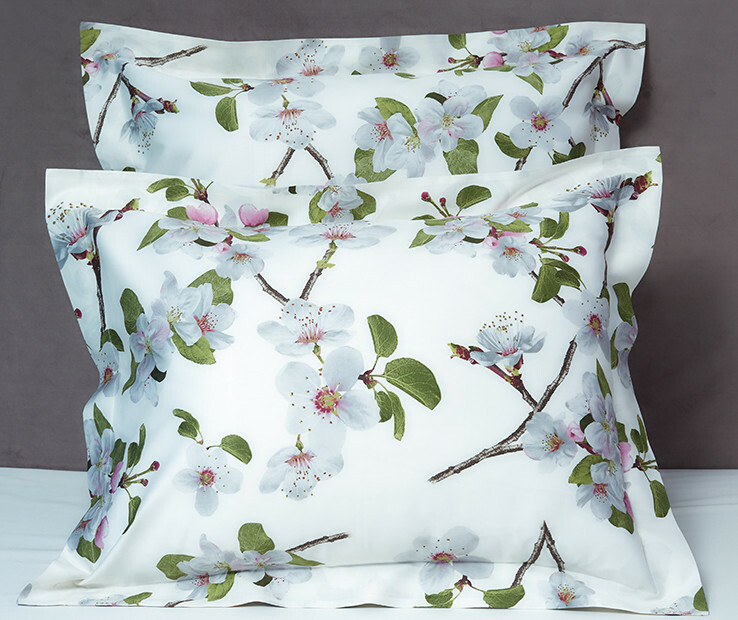 Available in Twin, Queen and King sizes, the Wisteria Duvet cover is backed with silky cotton sateen in coordinating color and is neatly finished with a simple hem. buttons closure. Made in Italy.